Such A Drag! cowbiscuits | UK Lifestyle, Style and Beauty Blog. : Such A Drag! haha, I think you look amazing! I love your hair, how did you get so much volume?! Totally amazing!! 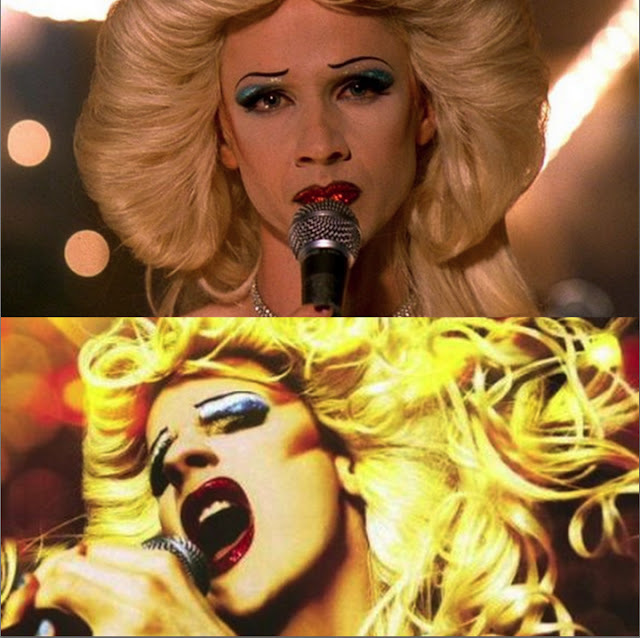 I'm actually putting together a playlist for my party tomorrow night and have just this minute added Wig in a Box from Hedwig! Hahaha, you pull off red lipstick and blue eyeshadow rather well! 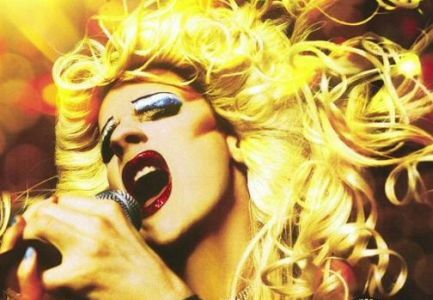 A glorious tribute to drag. oh daym! you pull it off so well. and props on getting your hair that voluminous, too. 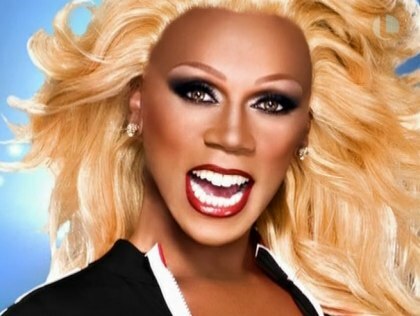 I LOVE rupaul! Watching Drag is so fun! You are absolutely gorgeous, LOVE the lipstick! love your hair like that! frank n furter is my favourite drag queen. Oh my god i love itttt! my fav look on you ever !! i'm jealous of your permanent lack of roots! OMG you look absolutely incredible, LOVE the hair do loads!!!! You look so gorgeous! Wish I could carry off such strong make-up. I feel like I'm in a rut with the same sort of look, with changing lipstick. Time for me to revamp my look me thinks! Looks like fun! You got the blusher exactly right. Wow, you looks great with the volume-errific hair! Your lips look amazing with the glitter. Hey friend! this post is interest. and I hope you are enjoy to follow my blog. Can we link exchange? if can please put a link to my blog and I will put a link to your blog too. so visit my blog and give me a comment. thanks you very much friend! Wow, you did an amazing job with this! You look gorgeous, love the hair. YOU are perfection. I love this so much! Haha great stuff! I am a big fan of drag too, and dressing up in general, love any excuse to go out in fancy dress! You look fab!